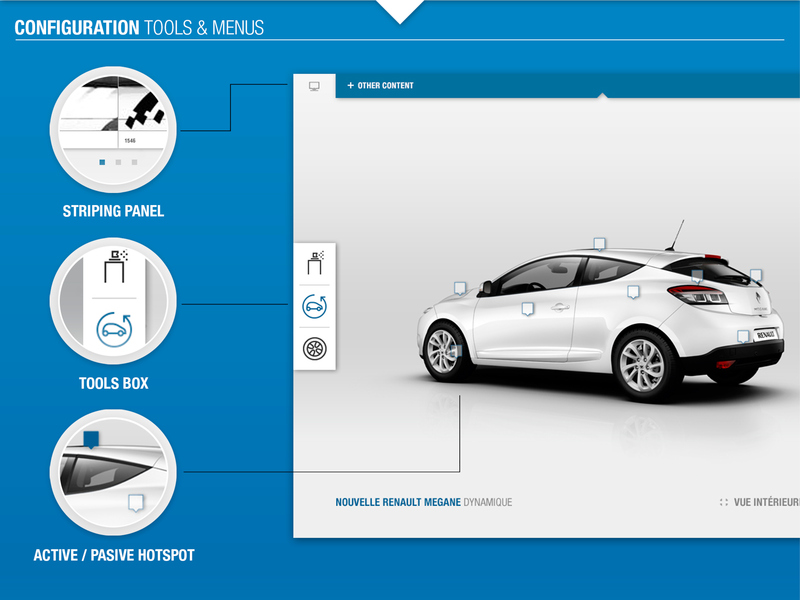 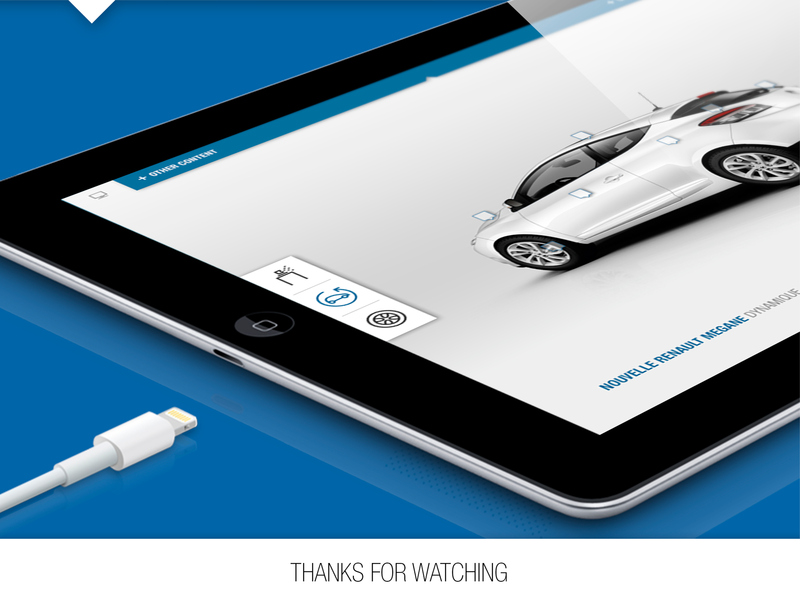 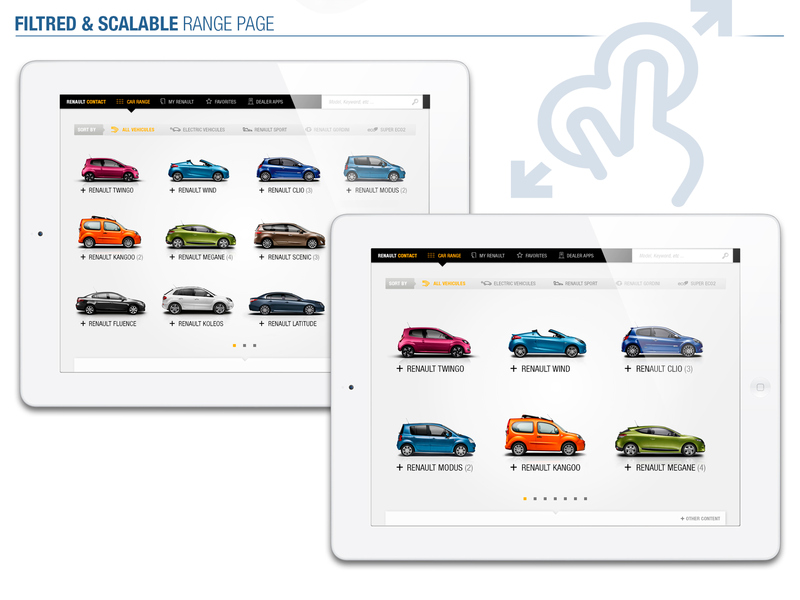 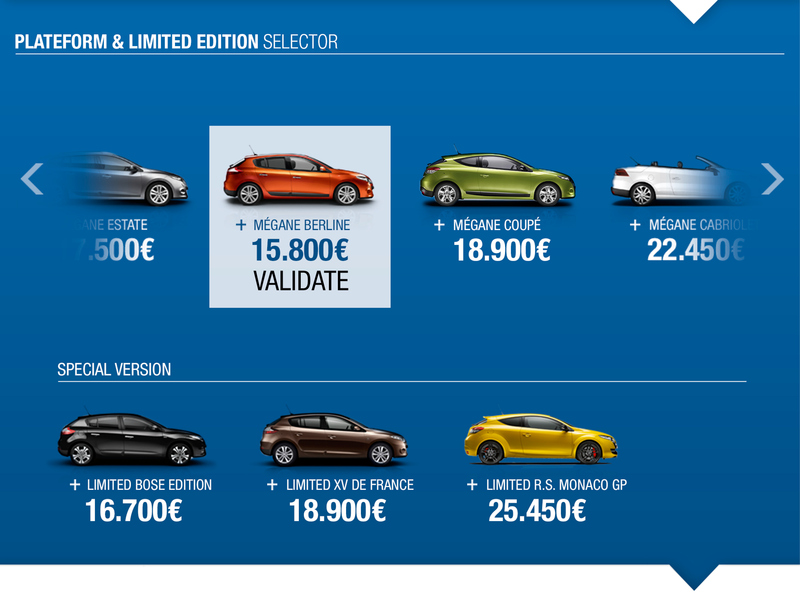 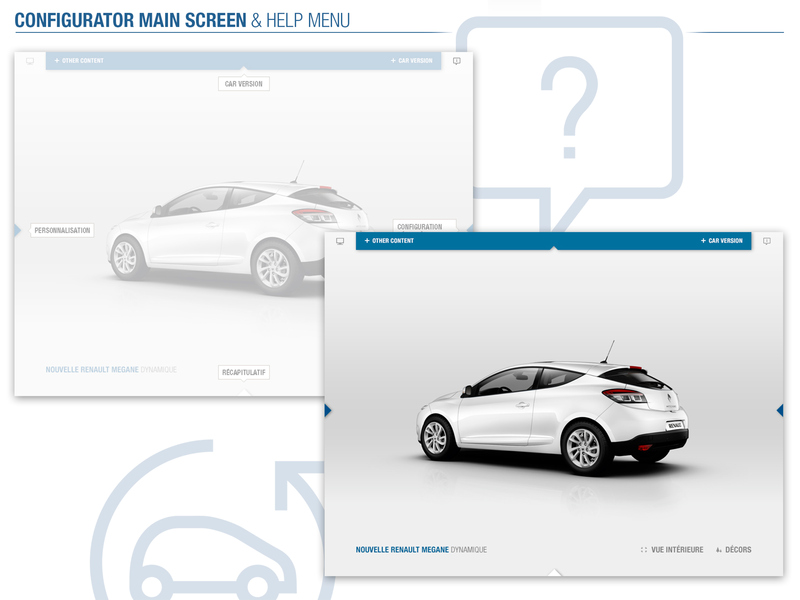 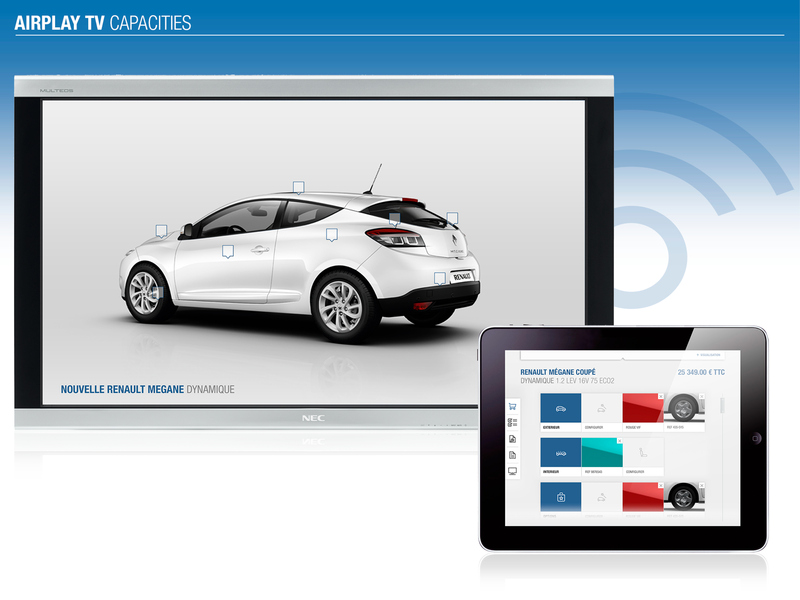 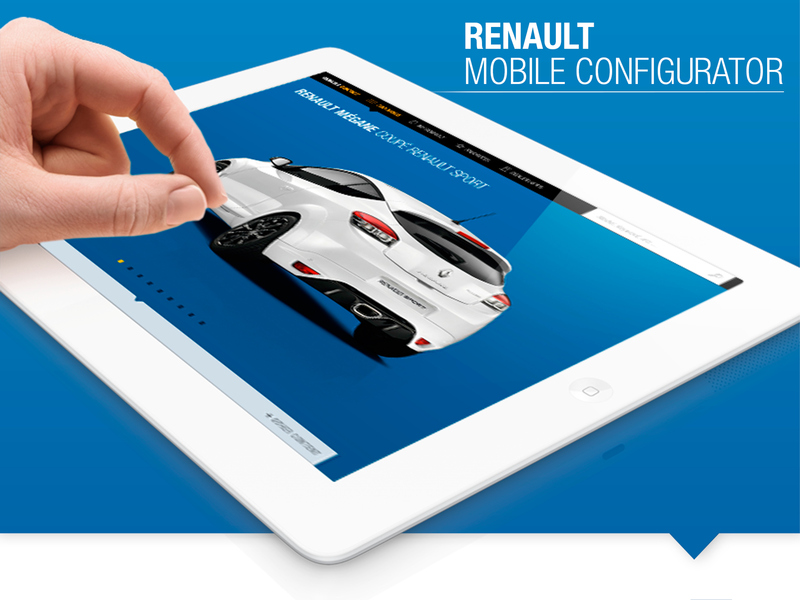 Producing an IPad app with Renault's configuration database was a great creative and technic challenge. 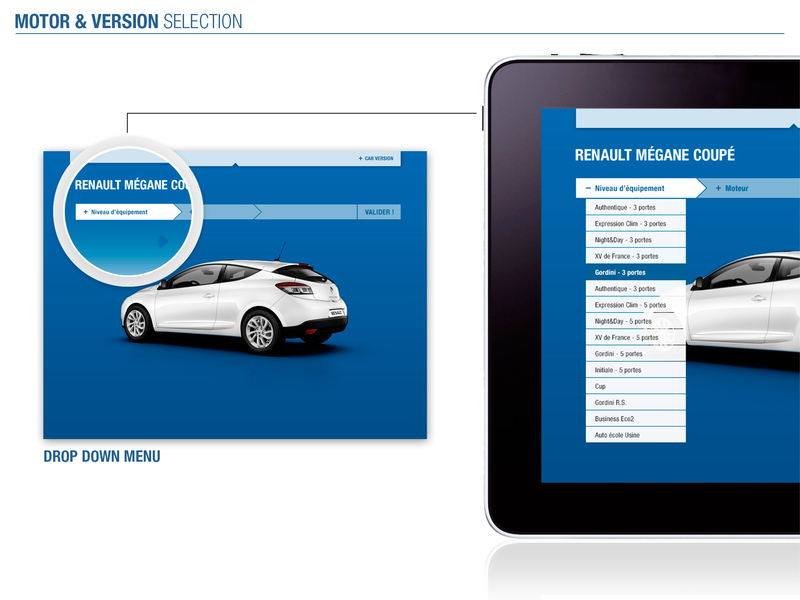 It supposed to give vendor a simple and engaging tool to show and share the whole range with customer. 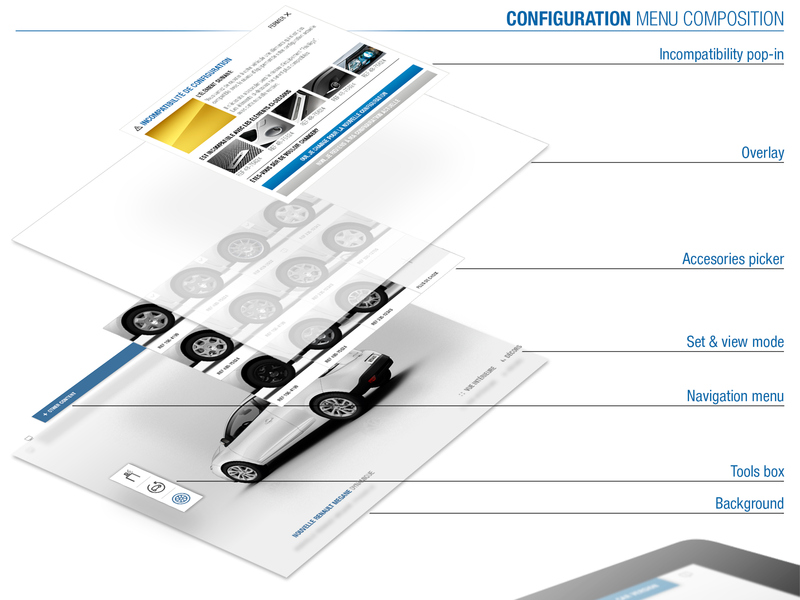 Not an easy task, but with airplay API and connected customers database, we made an easy way to bring on-line configuration into sellers hands.